The Society of Arts distributing its premiums, 1804. 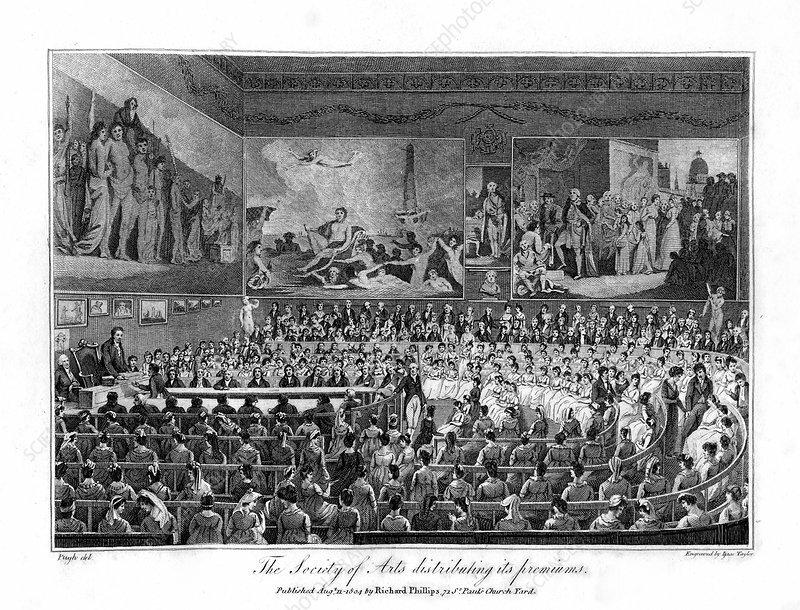 The Royal Society for the encouragement of Arts, Manufactures and Commerce, (RSA) - was founded in 1754 by William Shipley, a painter and social activist. Its purpose was to embolden enterprise, enlarge science, refine arts, improve our manufactures and extend our commerce. A copper plate from Modern London; Being the History and Present State of the British Metropolis, by Richard Phillips, (London, 1805). Artist: Isaac Taylor.